So, you get macros from your coach or friend or website (which I don't recommend) and you are left with the thoughts of "Well now, how do I fit things into these numbers? I'm lost. I'm confused. This is going to take me hours upon hours" I wanted to share a few key things to help you get started! 1. It's not as hard as it looks. It's a puzzle and it's kinda fun. You look at labels, you scan in labels into myfitnesspal, and these numbers are added together for you by myfitnesspal and you try to hit a total for the day! When you go into your diary for the day, it will have a circle (pie chart) icon in the bottom right hand corner. Click on that. That brings you to the screen below. Click on where the arrow is. This takes you to your daily totals. 2. Most likely if you are given numbers that are of any worth, your protein will be very high so you should aim to have protein at every meal. I prepare all protein in advance, and save the carbs for whatever I'm craving on that day. Constantly in my fridge you will find: cooked chicken, cooked ground turkey, cottage cheese, plain greek yogurt, eggs and I just add these into my different meal choices and recipes daily. My other protein sources I keep on hand not in the fridge are low sodium tuna packets and quest bars (which also contain good amounts of carb and fat). 3. Sweeten things on your own. I buy everything sugar free. This is not so that I can restrict myself. It's simply so that I'm able to eat more VOLUME to fit my numbers. The more food the merrier for the least amount of macros! That's the goal so you find tricks! Buy PLAIN greek yogurt and sweeten it with artificial sweeteners (I don't believe they are bad for you and I will write about that research on another day). 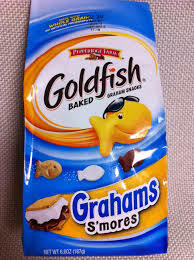 Then I add vanilla cupcake goldfish instead of granola. 5. All Walden farms except for their pancake syrup is disgusting. Don't waste your money. However, their pancake syrup is THE BOMB.COM PHENOM. It's hard to find in stores, but you can always buy it online and I find it's actually cheaper that way. 6. You want a protein powder that's less than 10g of carb per serving size, and you want to add it into recipes. Please tell me if you are a human being that likes protein shakes with just water or almond milk because....yuck. I do however use it for recipes! "But Katie, what do you have post workout?" ---> I eat real food. 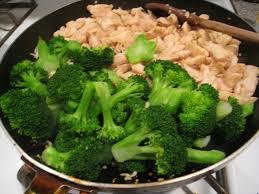 I have chicken, potatoes, and broccoli. 8. Many mistakenly think that because chicken is a "protein" and peanut butter is a "fat" that you just associate them as such. NO WAY JOSE! Peanut butter has carbs and proteins and chicken has fats so you need to log all of this in myfitnesspal. It will do the adding up for you. 9. Don't think that you have to eat the entire serving size, and you can normally put in crazy serving sizes into myfitnesspal. One of my serving sizes is 1 goldfish. Obviously, I never eat just one but that way I can just add in however many I do put in my yogurt whether it's 3 or 6 because the normal serving size is like 52 and that math is just too hard. 10. Everything has a calorie. Yes, you count veggies. I actually count gum as well which has helped me to stop chewing an entire pack per day. An entire pack is 30g of carb. That's the equivalent of a skinny cow sandwich. I'd rather have the skinny cow! 11. Don't count net carbs. Again, that's a scientific blog post for another day but it's a waste of your time and you won't get anywhere. That was a made up term by companies to essentially sell you more product by making you think it's healthier. 12. Just because it's deemed "healthy" does not make it macro friendly, and just because it's macro friendly does not make it nutritious for your body. Fruit has tons of vitamins and minerals however it also is LOADED with natural sugars and CARBS! A banana and a skinny cow hold the same amount of carbs and your body will essentially metabolize them the same. The skinny cow sandwich however is not going to provide you with the vitamins and minerals that the banana will but your body in strict terms of aesthetics will respond the same.